What Is the 192.168.1.5 IP Address? What Is the 192.168.1.5 IP Address Used For? 192.168.1.5 is the fifth IP address on the 192.168.1.0 private network whose assignable address range starts at 192.168.1.1. The 192.168.1.5 IP address is considered a private IP address, and as such, is most often seen on home networks with Linksys broadband routers, though other routers might use it, too. When used as a device's IP address, 192.168.1.5 is usually assigned automatically by the router, but an administrator can make that change, too, and can even set up the router itself to use 192.168.1.5, though this is much less common. When the 192.168.1.5 IP address is assigned to a router, you can access it via its URL, which is always http://192.168.1.5. This address needs to be opened on a device that's currently within the same network, like on a phone or computer that's already connected to the router. If 192.168.1.5 is assigned to a device, you cannot access it like you can when it's being used for a router's address, but it might need to be used in other circumstances. For example, if you're seeing whether the device is active on the network like if it's a network printer or device that you think might be offline, you can check by using the ping command. The only other time most users see the 192.168.1.5 IP address is when checking their own device to see what IP address is assigned to it. This is often the case when using the ipconfig command. Computers and other devices that support DHCP usually receive their IP address automatically from a router. The router decides which address to assign from the range that it's set up to manage. When a router is set up on the 192.168.1.0 network, it takes one address for itself (usually 192.168.1.1) and maintains the rest in a pool. Normally the router will assign these pooled addresses in sequential order, in this example starting with 192.168.1.2 followed by 192.168.1.3, 192.168.1.4, 192.168.1.5, and beyond. Computers, game consoles, printers, and some other types of devices allow their IP address to be set manually. The characters "192.168.1.5" or the four numbers - 192, 168, 1, and 5 must be keyed into a configuration screen on the unit. However, simply entering the IP number does not guarantee its validity on the network since the router must also be configured to include 192.168.1.5 in its address range. In other words, if your network is using the 192.168.2.x range, for example, setting up one device to use the static IP address of 192.168.1.5 will just make it incapable of communicating on the network, and thus will not work with the other devices. 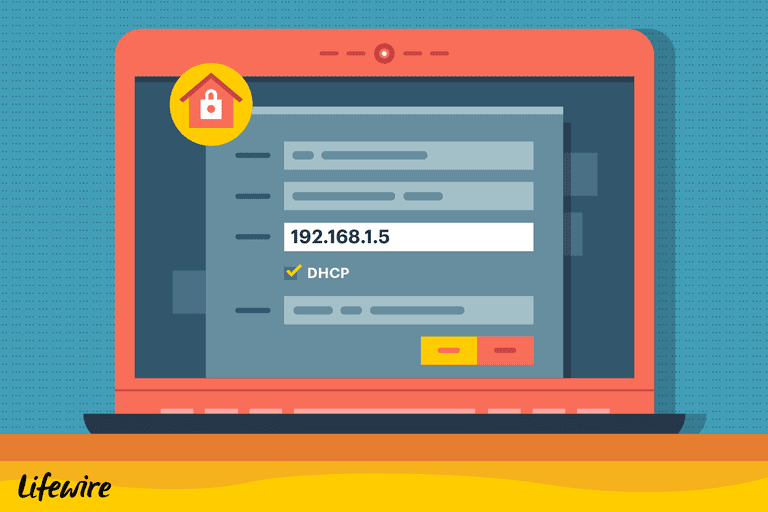 Most networks assign private IP addresses dynamically using DHCP. Attempting to assign 192.168.1.5 to a device manually, like you read above, is also possible. However, routers using the 192.168.1.0 network will typically have 192.168.1.5 in their DHCP pool by default, and they will not recognize whether it has already been assigned to a client manually before attempting to assign it dynamically. In the worst case, two different devices on the network will both be assigned the same address (one manually and the other automatically), resulting in an IP address conflict and broken connection issues for both. A device with IP address 192.168.1.5 dynamically assigned to it may be re-assigned a different address if it's kept disconnected from the local network for an extended period of time. The length of time, called a lease period in DHCP, varies depending on the network configuration but is often two or three days. Even after the DHCP lease expires, a device is likely to still receive the same address the next time it joins the network unless other devices have also had their leases expire.